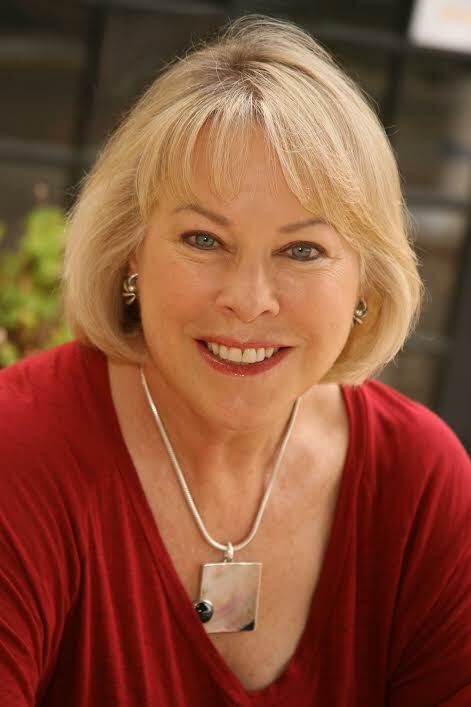 Once again we are absolutely delighted to welcome a return guest to our blog, the lovely Regan Walker, who has written another fascinating article for us. This time she has looked at a subject which is very close to our hearts – food! For more information and snippets from Regan’s book please see the links at the bottom of the page. While doing research for my story, To Tame the Wind, the prequel to my Agents of the Crown trilogy, I was reminded how well the Georgians ate, even in the 18th century, particularly if they were people of means and had access to a large country garden. 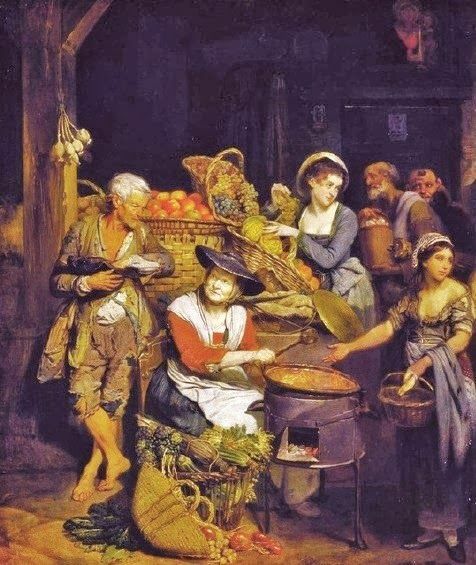 Beginning in the late 1600s, many in the English aristocracy sent their cooks to France to learn to cook, but apparently the experiment was of mixed success (though I daresay England’s kitchens benefitted from the French Revolution when many refugees fled North). 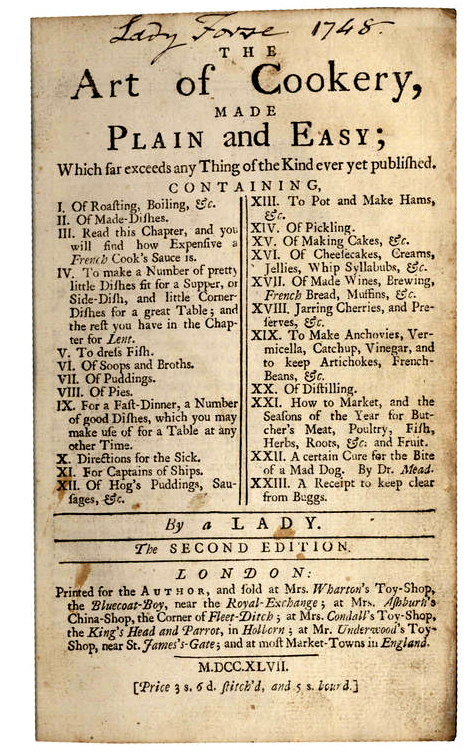 Eliza Smith, one of the early female cookbook writers, was not complimentary of French cooking, but Hannah Glasse, whose The Art of Cooking Made Plain and Easy was possibly the most successful cookbook of the 18th century, must have felt differently as she included French recipes. 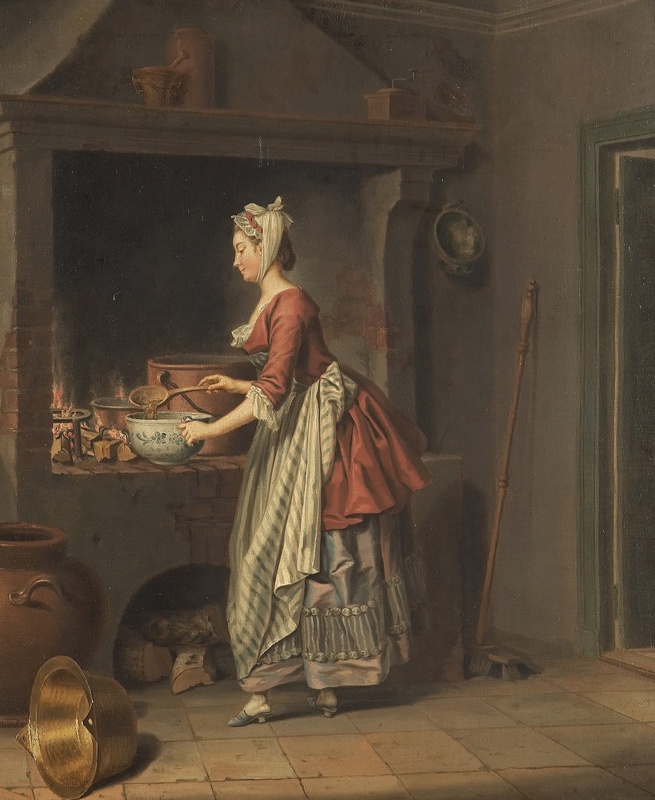 By 1758, modern cooking techniques began to emerge with Sarah Phillips’ The Ladies Handmaid wherein she instructs cooks to use the minimum liquid and minimum cooking times for vegetables, sounding very modern. Artichokes and French beans were popular, as were cucumbers. 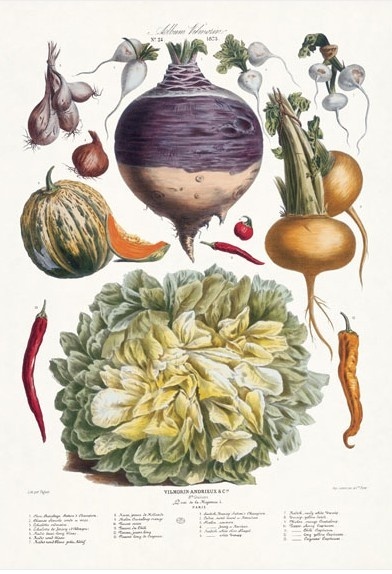 If one had land to cultivate a garden, the French company Vilmorin-Andrieux & Cie, Paris merchants, would assist with the first catalog of seeds for kitchen garden vegetables, including legumes, salad plants, flower seeds and bulbs published in 1766. Many estate owners maintained extensive gardens and orchards. In the second half of the 18th century, they used canals to transport produce where such were available. Late in the century, the roads improved and transport was made easier. Thus London’s markets benefitted from produce grown elsewhere. For breakfast, the gentry ate enriched, fruited spice breads or cakes and lightly spiced buns flavored with caraway seeds served hot and buttered. Muffins were also popular in the North from the 1770s. If one was of a mind to spread something on the bread, there was butter, honey, marmalade and jams made from various fruits, such as raspberries, cherries and apples. Breakfast might include kippers. I’ve had them and, personally, once was enough. Kippers are usually herring or a young salmon split, cleaned, boned, dried, and rubbed with salt and pepper, then fried or baked and served hot at the breakfast table. The kippers I had were baked herring. After one bite, I asked the waiter to take the fish away. My traveling companion thanked me. Boiled oatmeal with butter, called “gruel” could be served at breakfast with cream as it is today, but it was also served in the evening. Chocolate was a hot drink thought to make women fertile. How clever. No wonder we love the solid stuff today! As for other meals, there was soup, stews and meat if you could afford it. White soup contained veal stock, cream and almonds. Sometimes it was thickened with rice or breadcrumbs. On the streets of London, vendors hawked both pease pudding and pea soup. Lobscouse, a stew of meats and vegetables was familiar to seamen and could be quite varied. (Stew was a frequent dish on the Fairwinds, my hero’s ship in To Tame the Wind). What did they eat for the main course at dinner? Well, if one could afford it, mutton and beef to be sure. During the first half of the century, thousands of cattle found their way to Smithfield Market in London each year. The meat was not always of good quality, however. The Duke of Bedford had sheep and cattle driven up from his estate at Woburn and parked in the fields outside his London house so he did not have to shop at Smithfield. They had to be guarded against thieves, however. Many different types of meat were consumed, sometimes at the same meal, among them beef sirloin, venison, mutton, ham, bacon, hare (rabbit), chicken, geese, turkey, pigeons, ducks and partridge. An Irish gentleman travelling in England in 1752 had a “very good supper”, consisting of “veal cutlets, pigeons, asparagus, lamb and salad, apple-pie and tarts.” An Irish Gentleman, Journey through England, 1752. For supper, the fare might be cold meats and a hunk of Cheddar cheese. There were many types of cheese available, too. The English loved their puddings, both then and now, both savory and sweet. Even officers on ships liked them. And syllabub, a drink containing cider or wine sweetened with nutmeg, milk and cream, was enjoyed. When it was warm, ices were much desired. 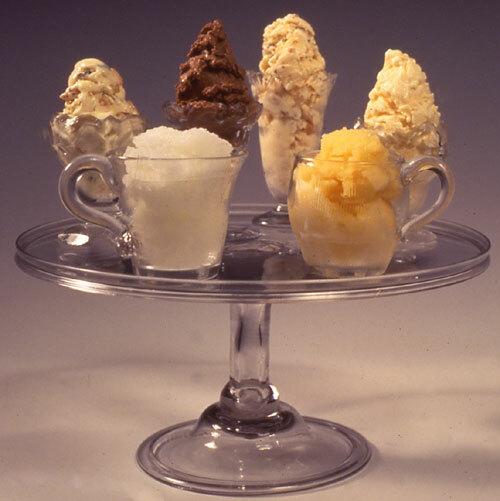 Although they had been known in England since the late 17th century, ices were made popular by French and Italian confectioners setting up shops in London in the mid 18th century. 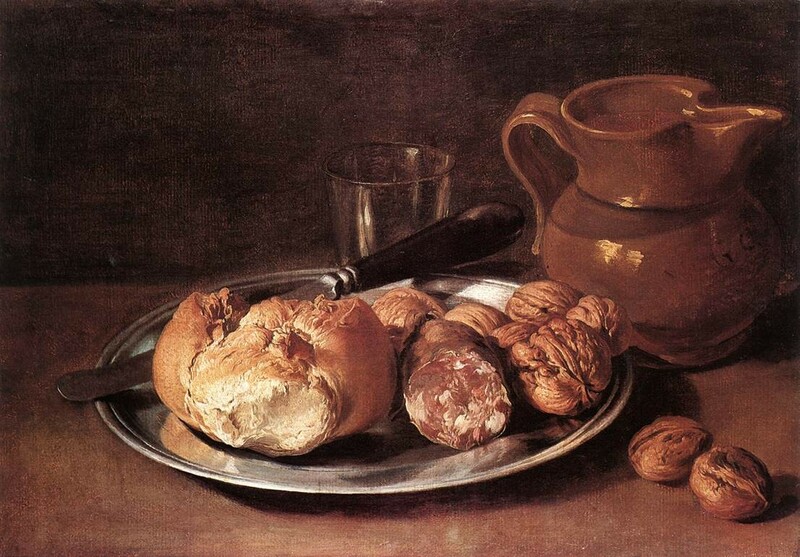 Some varieties that are fashionable in modern times, such as brown bread and pistachio, date from this period. There were also ices made with elderflowers, jasmine, white coffee, tea, pineapple, barberries and a host of other unusual flavors. Yum! In 1757, an Italian pastry cook named Domenico Negri opened a shop on Berkeley Square under the sign of “The Pot and Pineapple”. 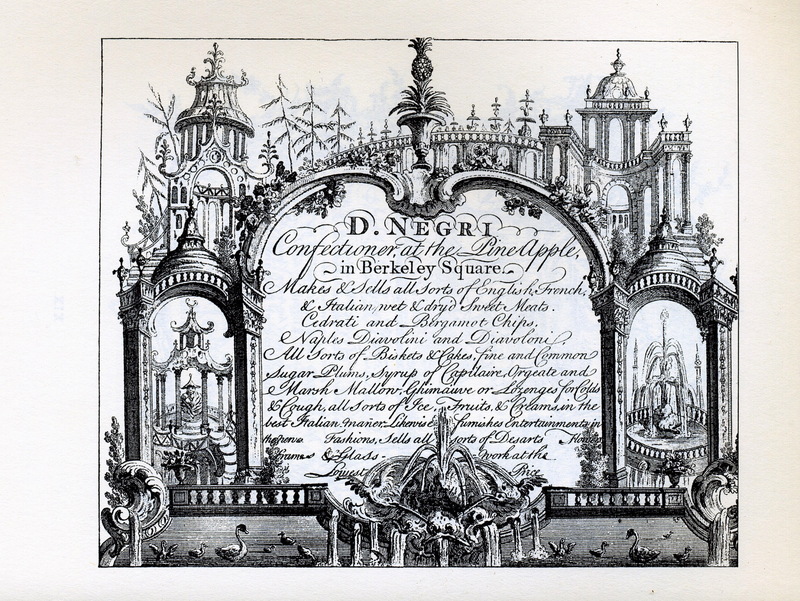 The pineapple was a symbol of luxury and used extensively as a logo for confectioners. Negri’s impressive trade card not only featured a pineapple, but it advertised that he was in the business of making English, French and Italian wet and dry sweetmeats. In To Tame the Wind the heroine and her friend, Lady Danvers, make a special stop at Negri’s to procure some sweetmeats. What to drink? Well, tea was the national drink, but expensive. Coffee houses flourished and no wonder. Men thought it improved their sexual prowess. Wine might accompany a wealthy man’s dinner. A good wine cellar might include Champagne, Claret (Bordeaux), Sherry, Port and Madeira. Punches were popular, too, cold or warmed and often spiced. (This may have been one of the uses for the stores of nutmegs, ginger, cloves and cinnamon.) The populace drank ale. And we can’t forget wassail at Christmastide. Altogether it was a rich fare! All Claire Donet knew was the world inside the convent walls in Saint-Denis. She had no idea her beloved papa was a pirate. But when he seized Simon Powell’s schooner, the English privateer decided to take the one thing his enemy held most dear… her. 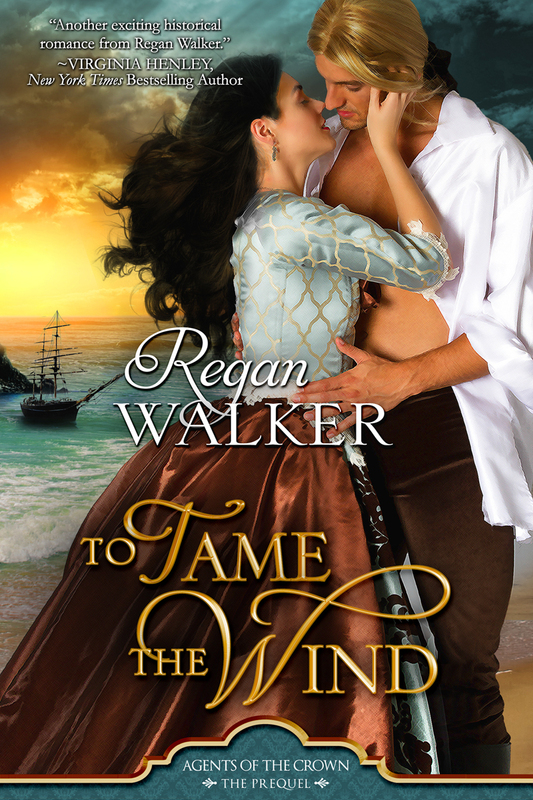 The waters between France and England roil with the clashes of Claire’s father and her captor as the last year of the American Revolution rages on the sea, spies lurk in Paris and Claire’s passion for the English captain rises. If you enjoyed reading this you might also like Regan’s previous article for us, on the Port of London. Hello All Things Georgian! It’s great to be here to talk about food…. 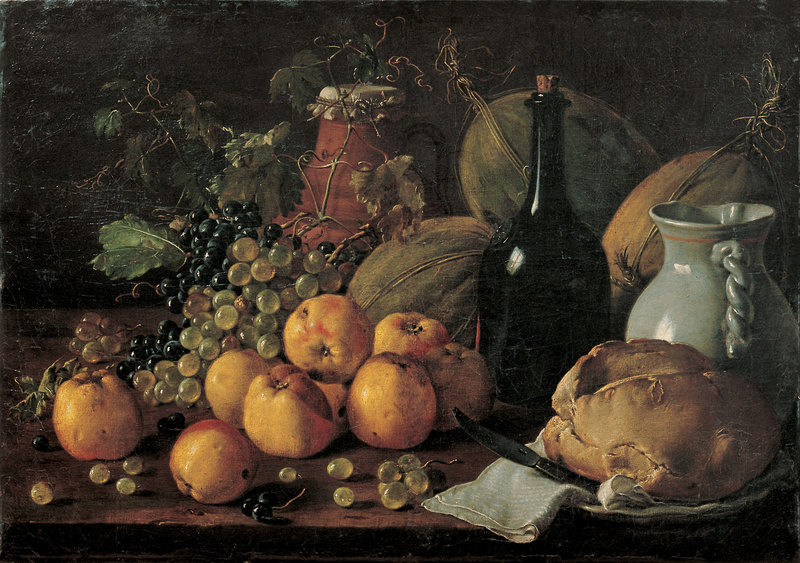 It’s clear if you had money, in the Georgian era, you could eat well. Thank you so much Regan for such a fascinating post. You’re absolutely correct, maybe things haven’t changed that much! Kippers are yummy! you eat them with toast drowning in butter… but maybe you have to grow up with something to enjoy it. I can’t understand how anyone would voluntarily eat bagels…. Personally, Sarah, I agree with you about bagels. They sit in my stomach like a lump of clay. And I do agree about kippers being an acquired taste. Like Haggis. For a contemporary view of French cooking and food in general there are passages in ‘Humphry Clinker’ by Tobias Smollett that are of interest. Shame on you for not enjoying a kipper, for most people it is the small bones that are the problem. 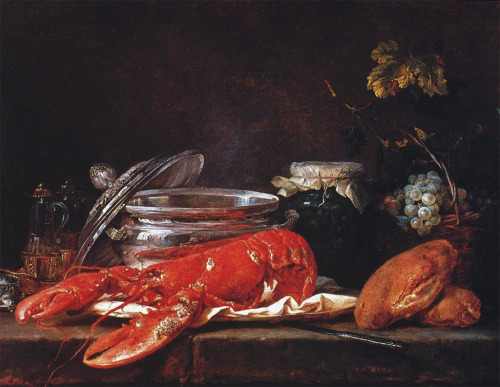 I did do some research on French food of the era as my story is set in Paris as well as London, but this post was just for the English. No shame for lack of kipper love here. I’ll settle for an American breakfast of eggs and toast with butter and jam. And since I’m from California, I’d add fresh-squeezed orange juice. The more I research the past, the more I find that people are really the same. Dayton, my research was for the late 18th century and things may be different today. The kippers I had in Scotland were baked herring and smelled to high heaven. They were just nasty but then I’m an American. I’m afraid that kippers ARE smoked herring. I’m in Scotland, and I am very fond of kippers! As you say, however, it depends what one’s used to! My other comment on your very interesting article is that rabbits and hares are different animals! Douglas, yes, I’m not certain the kippers I was served were smoked. But the smell was overwhelming and pretty hard for me to take so perhaps they were. I am fully aware that hare and rabbit are different animals, thought closely related. (Hares are classified into the same family as rabbits). For purposes of my article I grouped them together, sorta like hare/rabbit. You are most welcome, Linda! This is wonderfully interesting to me, so thought some of you might enjoy it as well. It’s from my friend and wonderful author, Regan Walker’s blog. Please check it out. I get up every morning intending to post something new on here, but alas, I become so overwhelmed by all the small Things in Life I must do first. I’ve come to the conclusion that there just aren’t enough hours in a day to get everything done that I’d really like to do…i.e. Reading, more writing – poetry usually, working with my plants (oh, btw we have a little fox family that lives just down the road) photography and studying the art of digital manipulation to enhance my shots. NOW, go read about the Georgian Era, the food will surprise you! Thanks so much Keli! I’m glad you liked the post and have shared it with your followers.